Roku devices do not allow any network configuration on the device so all the configuration must be done on the Wi-Fi router of your network. Remember you will need to create your Roku account using MediaHint and define a United States address in it to successfully unblock the services in your Roku. Step 2: Use a web browser to register a US Roku account at www.roku.com/us. If you use credit card, you will need to input a US Zip Code configured from your actual billing Zip Code. Using PayPal will not require this and you can input any valid US address. Step 4: If you have not already done so (ie: if you used the browser extension in step 1), configure MediaHint on your router. Click here for router setup instructions. 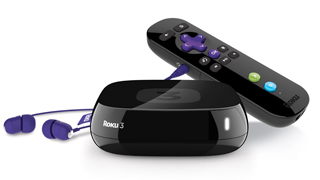 Note: Depending on your Roku model, not all Roku devices will work with this method. If you have questions, please contact support and we will do our best to assist you.